Reference: Szmeja et al., Otolaryng Pol, 41(3): 183 – 188, 1987. 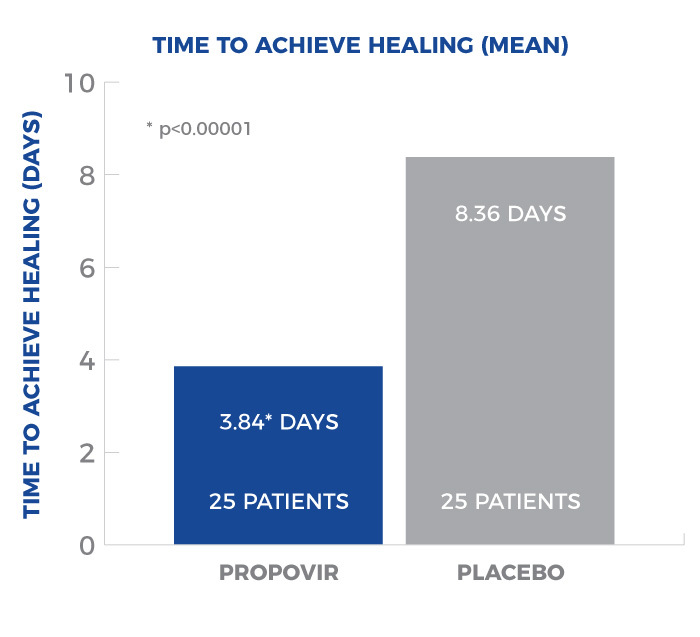 The healing time in patients using propovir was up to 4 days less than patients using placebo. Randomised double-blind clinical study in patients with herpes labialis. Assessed the clinical usefulness of 2% propolis ointment ACF in the treatment of herpes labialis. Reference: Compared to no treatment. Hoheisel O, Journal of Clinical Research 2001; 4: 65-75. Financed by Hela Pharma AB. 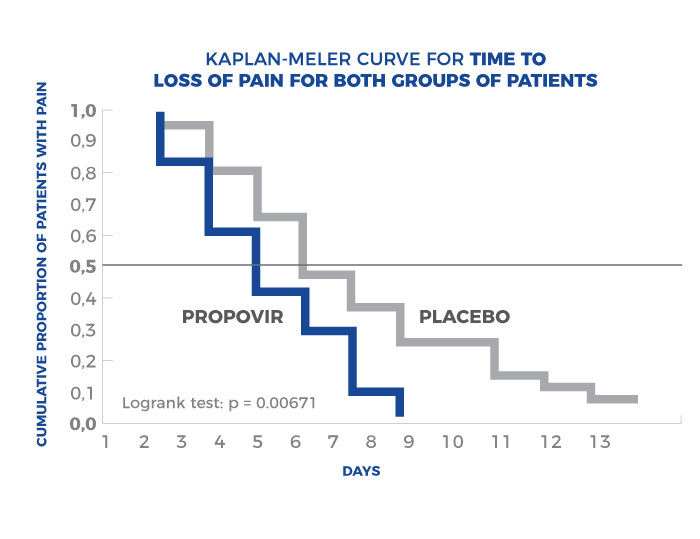 Patients using propovir experienced less pain, and felt no pain by day 7, while 22.9% patients in the placebo group were still reporting pain. 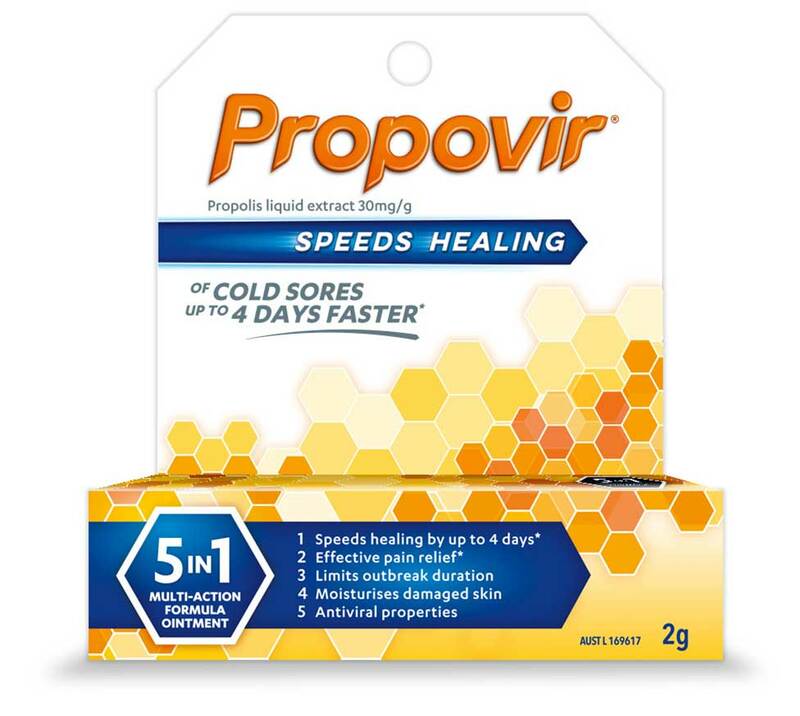 The healing time of patients using propovir was 3.5 days less than patients using placebo. Double-blind placebo-controlled clinical study in patients with herpes labialis. Assessed the effects of 3% propolis ointment ACF application in the treatment of cold sores. 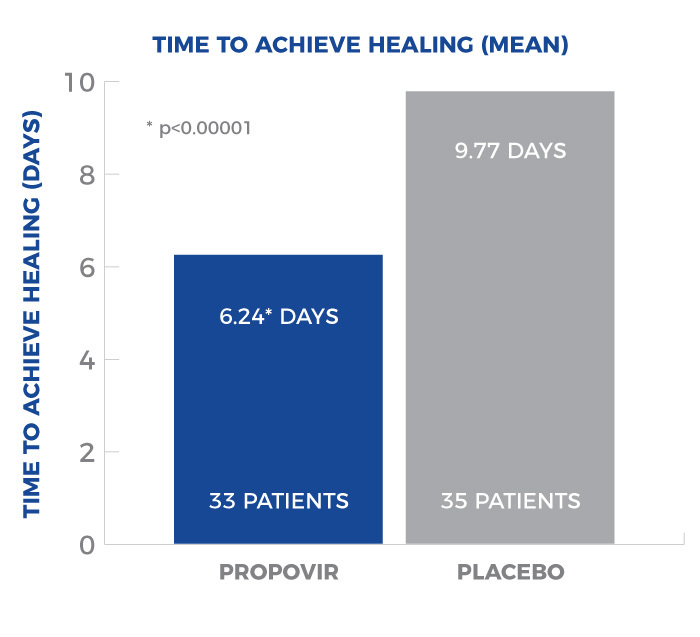 The healing time in patients using propovir was up to 3.5 days less than patients using placebo. 1. Compared to placebo. Hoheisel O, Journal of Clinical Research 2001. Financed by Hela Pharma AB.